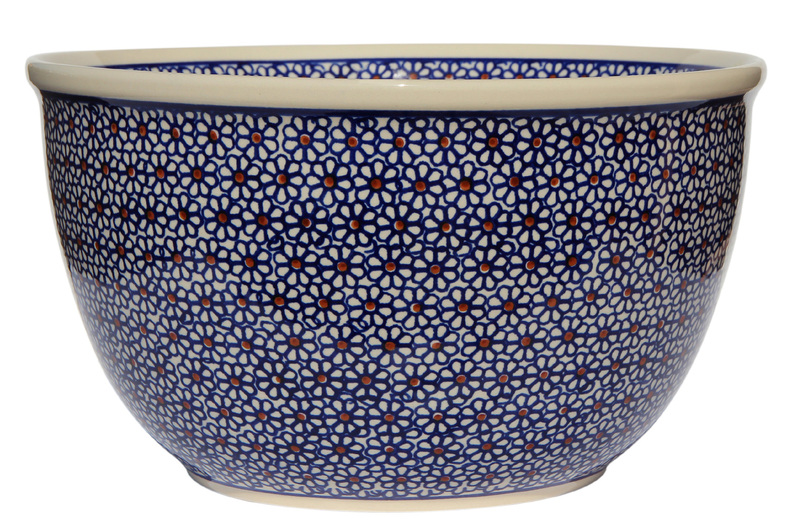 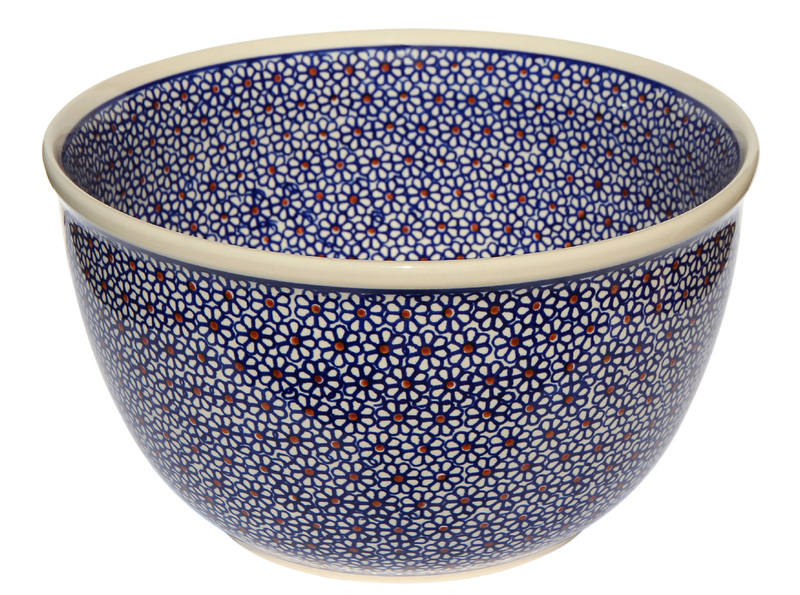 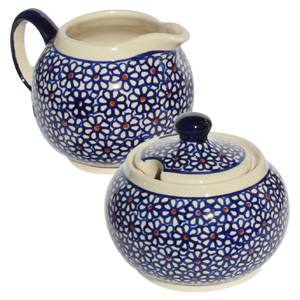 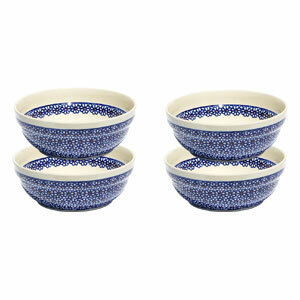 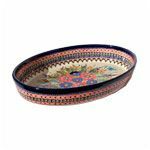 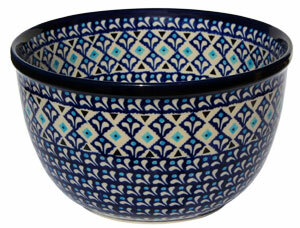 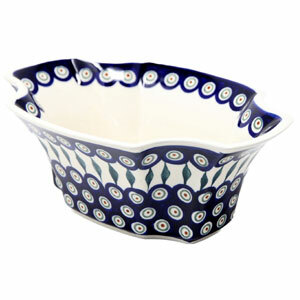 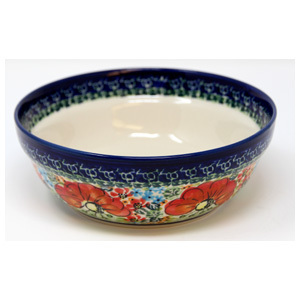 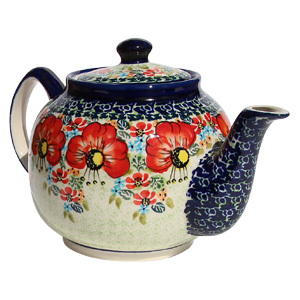 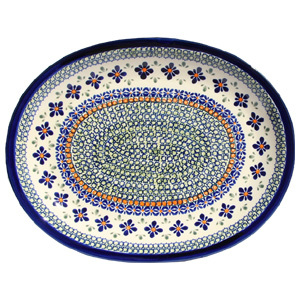 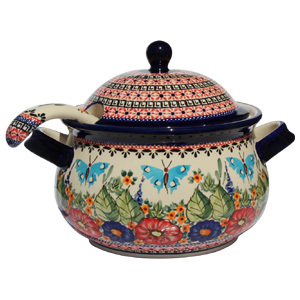 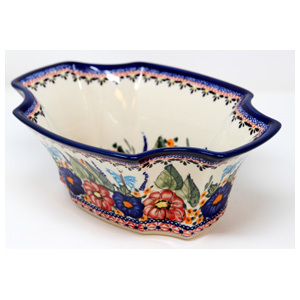 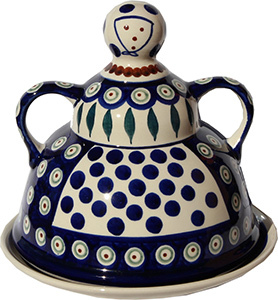 The Polish Pottery large mixing bowl in claret and blue dandelion is made in Zaklady Ceramiczne BOLESLAWIEC. 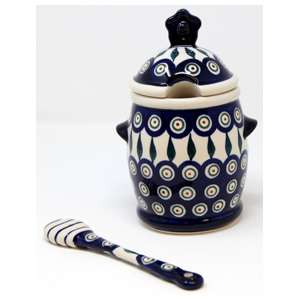 At six inches high, a diameter of ten inches and a nineteen cup capacity a stoneware to construct pasta with uncooked tomato sauce and fresh mozzarella. 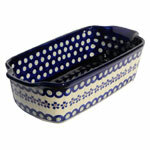 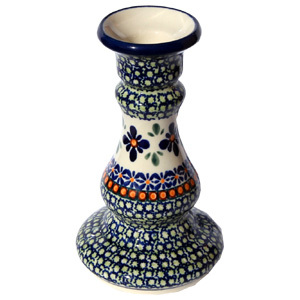 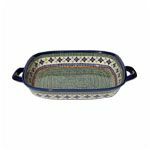 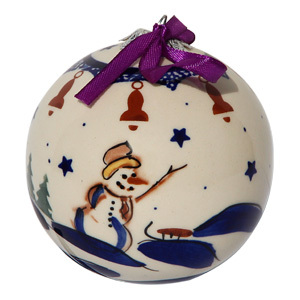 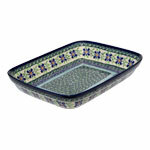 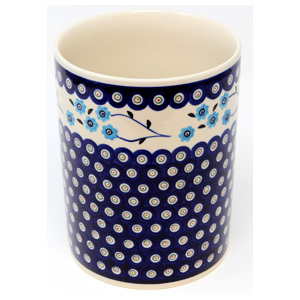 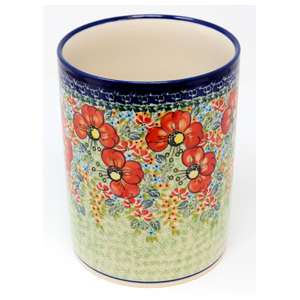 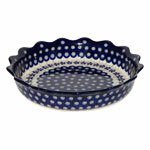 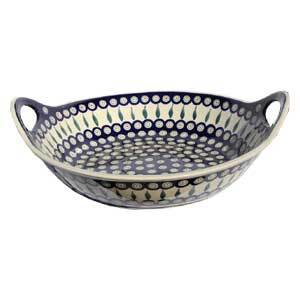 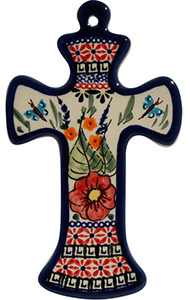 Product is microwave and dishwasher safe, a hardy piece for a lifetime of use.